Do you still remember the #CaringBeyondSkincare Movement by Nivea baby that I posted last 2013 “A first for everything“? I have mentioned that NIVEA BABY takes the 1st Step to Caring Beyond Skincare through the renovation of the maternity wing of Dr. Jose Fabella Memorial Hospital. 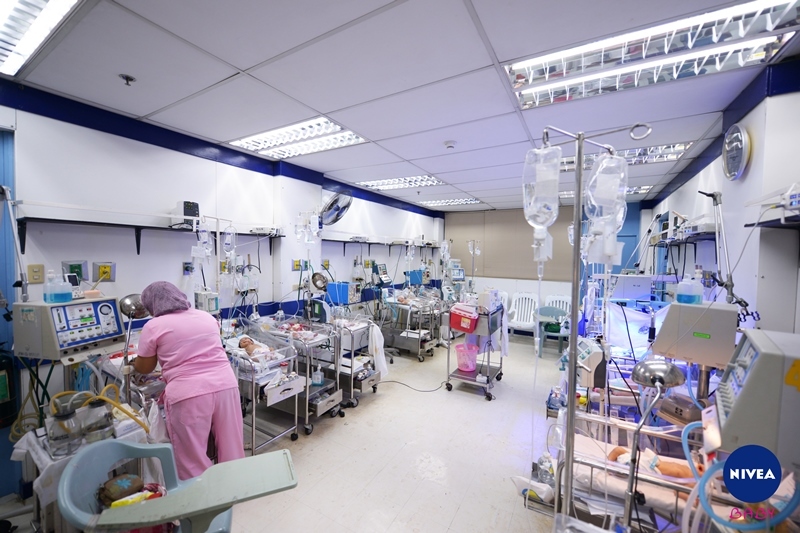 You will see photos there of the previous condition of Fabella maternity wing. Now let me show you the improved areas of Fabella maternity wing. 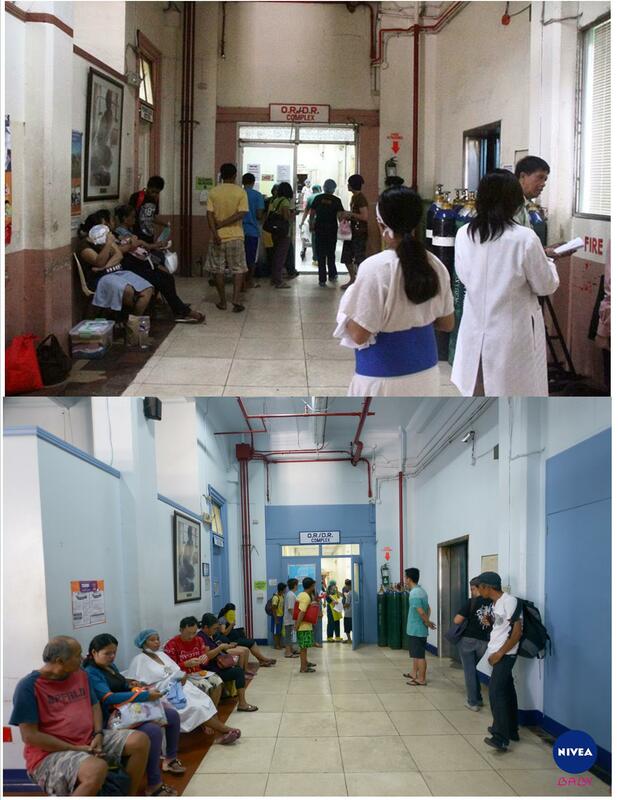 The photo above is the before and after photo of the hallway of OR/DR at the Fabella Maternity wing. Renovation done: Repainted and refurbished of the ceiling, doors, doorways, and walls, refurbishing of the floor tiles, installation of floor tiles, repainting of staircase handrails, donated gang-chairs. Next, is the NICU (Neonatal Intensive Care Unit). Renovation done: Donated air-conditioners and fans, repaired the ceiling boards, added and repainted sink cabinets, donated a medicine cabinet, repaired the exterior walls, built a fire exit. 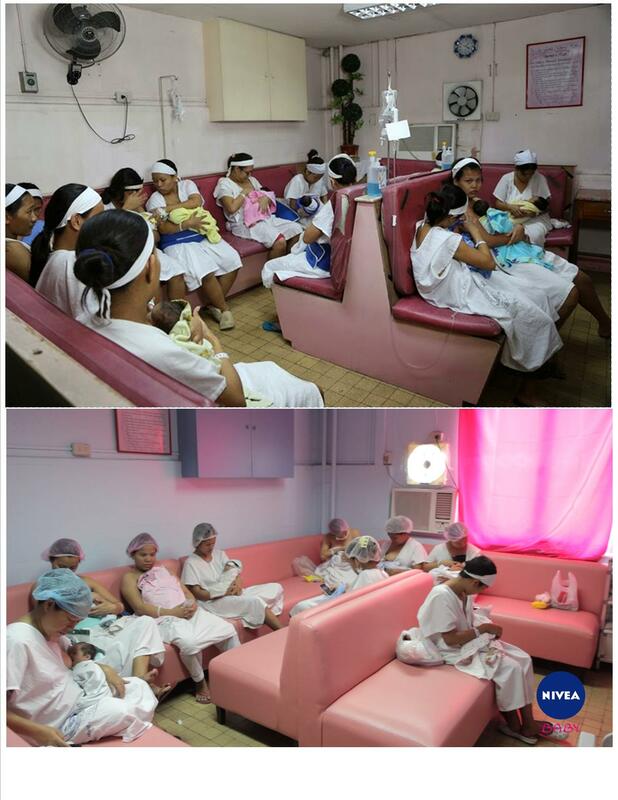 One of the very important venue of moms with their new-born babies is the breastfeeding station. Renovation Done: Repainted the whole room, donated air-con and exhaust fan, donated a TV and DVD set, repaired the sink cabinets, added a shelf for storage, donated new sofas. 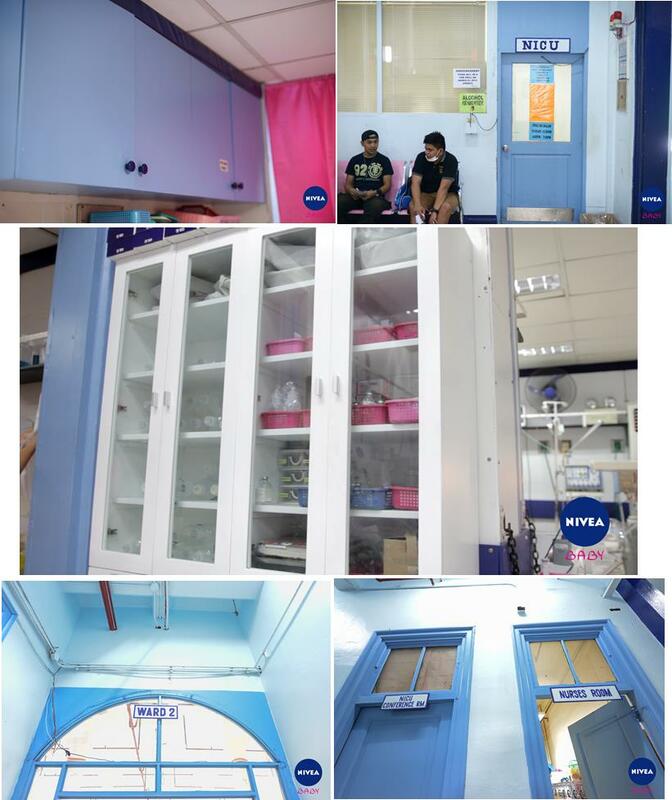 In addition to the renovation done, Nivea baby team repaired the door and added doorknob, donated air-con, and added sink cabinet to the Intermediate Area. The team also donated NIVEA gift bags (soap, wipes, and powder). I am so grateful with the outcome of this project with the Improved Areas in Fabella Maternity Wing through the efforts of #CaringBeyondSkincare Movement by Nivea baby. Now, numerous patient moms and babies of Fabella will surely benefit from this meaningful project. Thank you so much NIVEA Baby Philippines! Wow this is such a great project. I heard pa before na aalisin na ang fabella, buti nalang tsismis lang pala yun. Galing ng Nivea!!! Sobrang happy ako sa renovation na ginawa sa Fabella hospital maternity wing ng Nivea baby. ??? 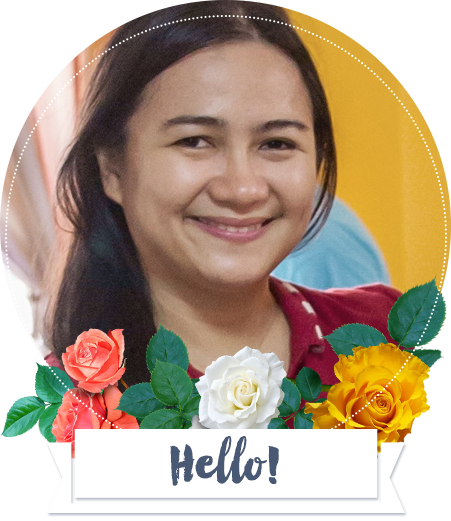 ?big comfort sa patient moms at new born babies pati na rin sa staff ng hospital.